The arrival of December 1914 was proof, if any were needed, that the war would not be ‘over by Christmas’. 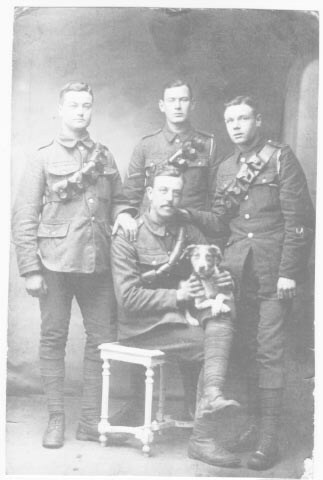 For the men at the front, months of tough fighting were to be followed by a festive period away from home. Back in Britain, German battleships shelled the coastal towns of Whitby, Hartlepool and Scarborough, killing 122 and injuring 450 civilian men, women and children. On the Western Front, fierce fighting took place in the Ypres Salient, leading to the deaths of many soldiers. It was the recovery and burial of these casualties which gave rise to the practical need for a cessation of fighting at certain areas of the front, like Ploegsteert Wood, which the British soldiers called ‘Plugstreet’. The Germans too received small gift boxes – alongside table top Christmas trees and festive wreaths with which to celebrate the season. High Command was angry – they feared that men would now question the war, and even mutiny, as a result of fraternising with the enemy that they were meant to defeat. Stricter orders were issued to end such activity – with harsh punishment for any man caught refusing to fight.The London Rifle Brigade’s War Diary for 2 January 1915 recorded that “informal truces with the enemy were to cease and any officer or [non-commissioned officer] found to having initiated one would be tried by Court Martial.”As the war continued, brutal developments on the battlefield changed the character of war in 1915. The enemy were further demonised and fraternisation made even less likely.